With its wooden structure and telescopic rods it is perfect for space saving and safe for those with small children. 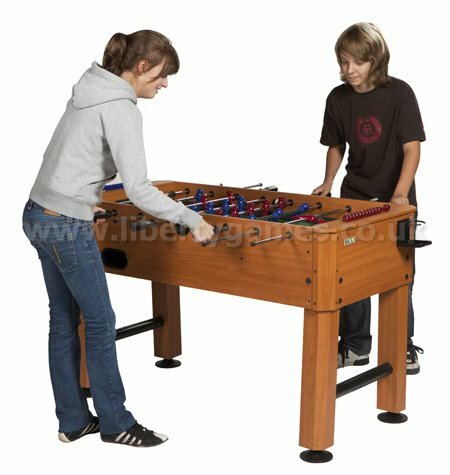 The Midfielder has been designed to display the contemporary wooden look built to modern standards. It even includes 2 handy cup holders. Your order will be delivered on a pallet by a specialised delivery team. Please ensure you supply your phone number and email address when you place your order. The delivery team will contact you to arrange a suitable delivery date. Please note that failed deliveries will incur redelivery charges. Please ensure that the delivery team has clear access for the pallet. Steps, gravel driveways and other obstacles may prevent a successful delivery and incur a failed delivery charge. Please contact us if you are unsure.